A new study by the American Association of Retired Persons reports that baby boomers are consistently using new technologies. 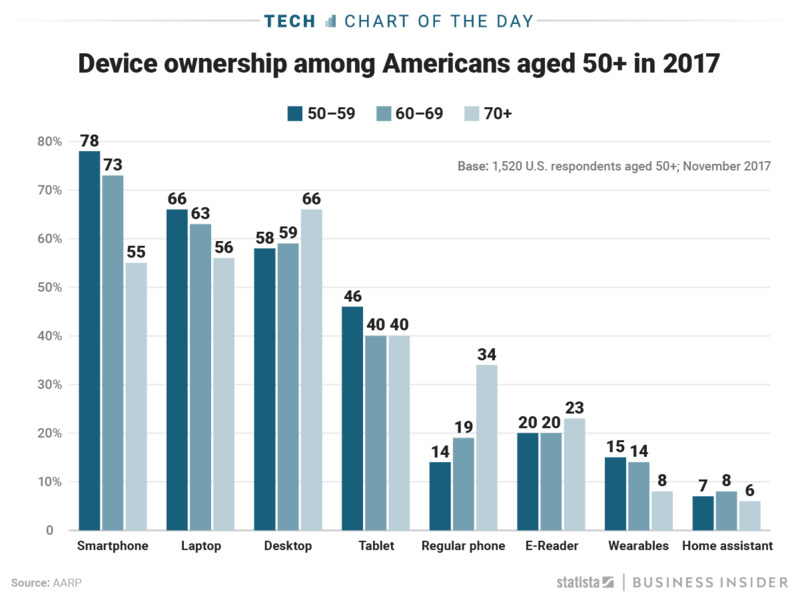 More and more Americans over the age of 50 are embracing smartphones, laptops, and desktops in order to stay in touch with their family and friends. 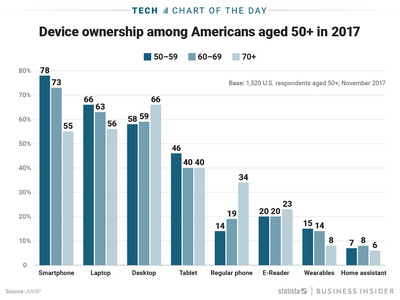 As this chart by Statista shows, the vast majority of people older than 50 years old own a smart device. While new technologies can often present a learning curve for older generations, it seems that smart gadgets have rendered themselves indispensable even for people who didn’t grow up with them.